In 1967 French farmer and JCB driver Simon Betoulieres, had an idea and purchased, for very little money, an area of sodden land that sat in a hidden valley. This was much to the amusement of everyone in the area and he suffered much ridicule as the land was deemed by them to be worthless, both for farming and anything else. However he had a plan. As the owner of a JCB and fitting it in around his other work he set about digging drainage channels & creating a lake. This lake took nearly two years to completion. Now, in the area at that time there were no manmade lakes and being the first of its type in the area, he soon saw people coming down to the lake to swim. The lake was crystal clear and became very busy at weekends as people brought picnics and came from farther and farther afield. In time he went on to add a little beach area and again still more people came. 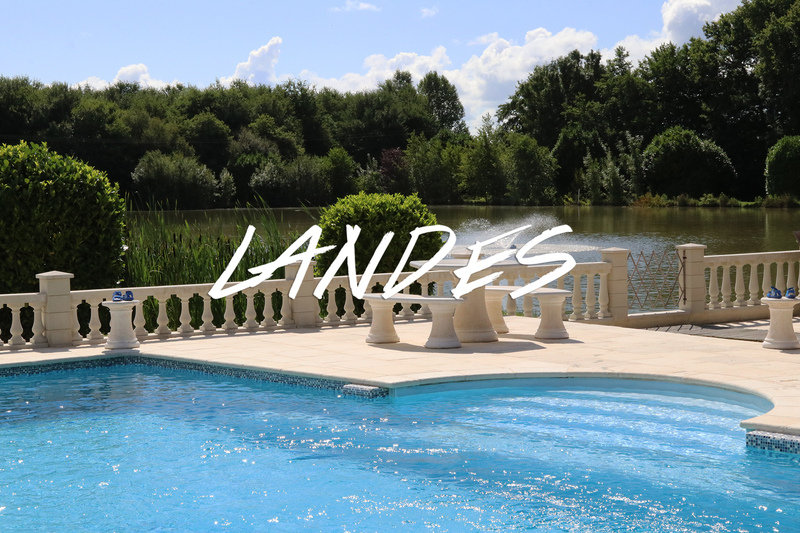 The next step was to add some facilities and along with his wife Simone, work began on a large house with a restaurant on the ground level and the first floor level with the lake, set with a nice terrace for the customers to eat and look over the lake and beach area. The cooking was excellent and the popularity grew and grew. All the food was prepared over an open fire in the kitchens. The laughing stock purchase, was no longer a laughing stock, but was ever expanding as his next step was to build Lotus cottage and Willow cottage to let out as holiday rentals. The business thrived and became widely known as Parisians, Belgiums, Dutch and people from across all areas of France came down to stay in the houses or simply camp and enjoy the facilities. 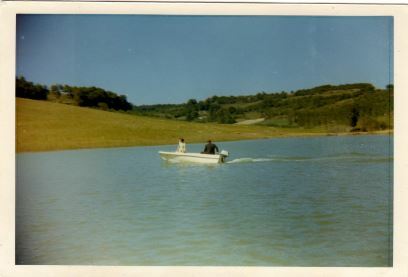 By 1977 several lakes popped up built by the council for similar purposes but they were short lived in general as the water quality could not be maintained. Gilles explained that water quality in those days was tested by dropping a metal plate on a rope into the water. If you could see the plate at around 3ft 6inches depth then it passed but otherwise it failed. Such simple methods eh? Finally after many years of running the prosperous business Simon and his wife Simone, decided enough was enough. They were getting older and it was time for retirement. 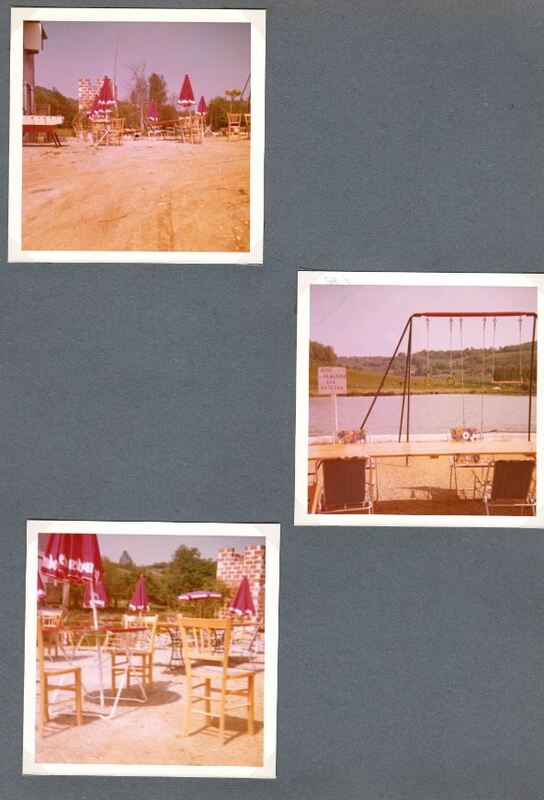 So they closed the restaurant and lake (by now several more lakes had sprung up in the area for public use) and simply rented out the cottages long term. Gilles, Simon and Simone’s son, had a serious accident in 1991 and was paraplegic for a year, recovery took 2 years of hard effort, however Gilles is nothing but determined and hard working, his recovery was remarkable. 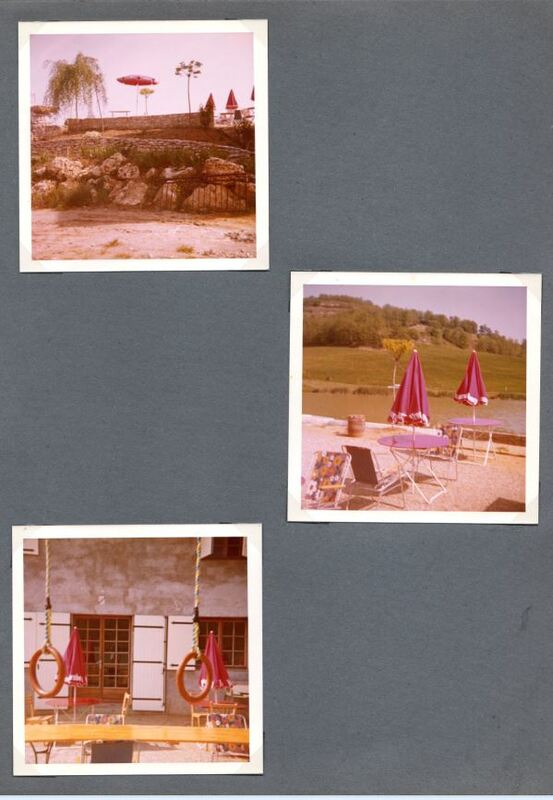 As the years had moved on (we are now in 1993) Leslie an English woman met Gilles and upon seeing the place fell in love with the ambience thus rented the lake house & lived there for a while. How wonderful to awake each morning to the sparkling lake in front of them. 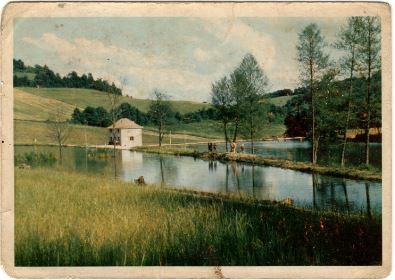 In 1994/95 they built a swimming pool at the side of the lake. Soon they lived on the lake only in three out of the four seasons, the summer holiday months of June, July and August were rented out again as the couple camped nearby. In 2000 they added another swimming pool in the grounds for Willow cottage and Lotus cottage. Throughout and ever since they have constantly renovated and added to the facilities and fish stocks, creating the wonderful holiday venue we have offered at Angling Lines since 2003. Sadly, the couple parted in 2013. However, Gilles continues to offer this little piece of Heaven to our anglers and believe me a very special place it is.